Click here for the SNWMF 2018 photo report! In these troubling times in the US, SNWMF presented an alternative reality for the family who have gathered for 25 years, many industry types noted how many times they had attended, 15, 17, 19 times, one agent for several artists realized he had attended each of the 25 years! Rastafari elder and teacher Prof-I and nyabinghi drummers opened up the show on the Valley stage with a blessing and performed a special Sunday night closing ceremony session on the Solar stage. The Friday night lineup was altered based on three different artists being denied entry into the US when passing through immigration. DJ/producer Jah Shaka from the UK was slated to headline the dancehall but was turned away. Alika from Argentina and Flavia Coelho from Brazil were each turned away and replaced with Jah Sun & Queen Makedah. 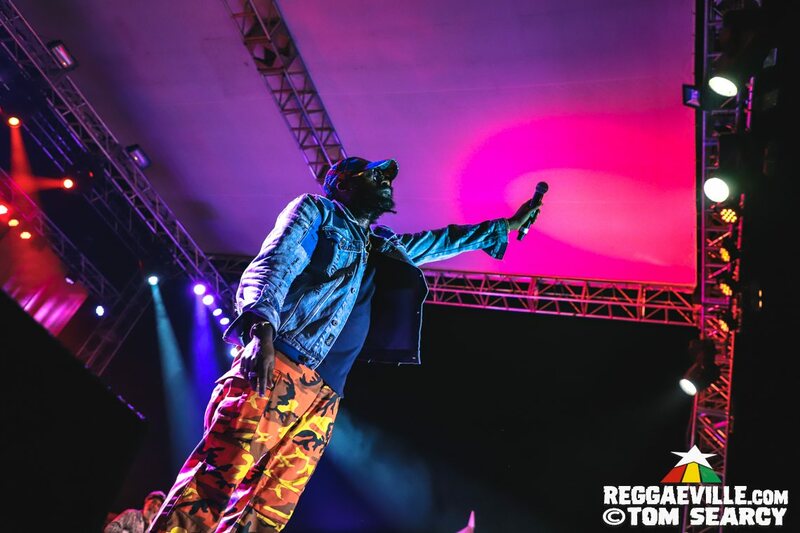 The Jah Shaka segment was replaced with a Tribute to Jah Shaka organized by Jah Warrior Shelter HiFi that featured a freestyle all star cast with Protoje, Jah9, Randy Valentine, Nattali Rize, Rocker T & Kelissa trading lines over the same riddims. Natty from the UK performed twice during the weekend, his first set opened the Valley stage. Making his SNWMF debut, the artist’s roots reggae songwriting and conscious messaging influenced by African & vintage rock instrumentation was a refreshing experience from this artist who has appeared on numerous large festivals in Europe, both reggae and non-reggae! Jah9 performed to an expectant crowd many of whom sung word for word along with her set. With Zion I Kings’ Jah David on the bass, the band soared with Jah9’s seasoned travels through her complex compositions. 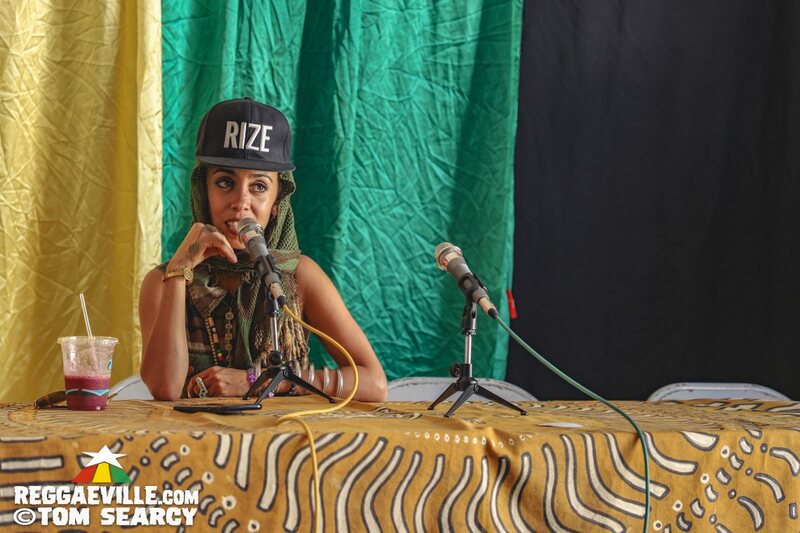 Reggaeville checked in with Jah9 for her impressions of the Friday night slot as she noted, “Its a blessing to come to this festival, the response from the crowd was really great. I performed here before in the dancehall with Rory from Stone Love who produced New Name, but this was the first time I appeared at the festival with a band.” Jah9 also performed during the freestyle set at the Tribute to Jah Shaka in the dancehall Friday night. Protoje brought his modern roots vibes to the SNWMF 25 massive, performing a breathtaking set of originals with his band, at one point sharing a new song from his album A Matter of Time. As the press conference ended, the late night dancehall turned way up. 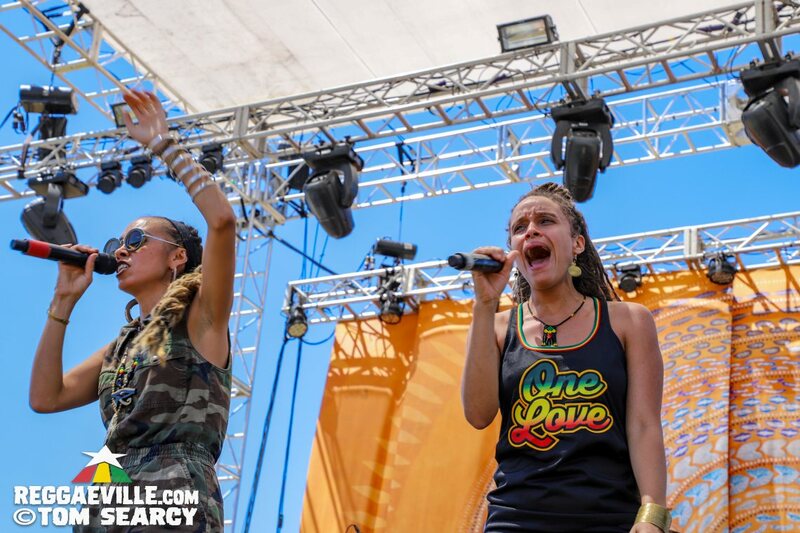 A historic freestyle was made possible by Bay Area sound system and artist/producer collaborative Jah Warrior Shelter Hi-Fi who gathered artists in tribute to Jah Shaka when he was not able to make the trip to SNWMF 25. Unlike some sessions of this type, where artists ride the riddim one at a time, all the artists shared the same riddim and traded lines. The most remarkable part, especially in light of the #TimesUp movement to engage more women in positions of power in entertainment, as soon as the freestyle started while the three women on the stage, Jah9, Nattali Rize & Kelissa took their turns, the man dem a back way, making space for the women, not anxious be the next man to grab the mic as can often happen in these settings. Randy Valentine, Protoje & Rocker T each took a turn as well, but it was a seamless, balanced, presentation that set the tone for the whole weekend and was a deep, powerful tribute to the sound system forefather and producer Jah Shaka inna dancehall style. 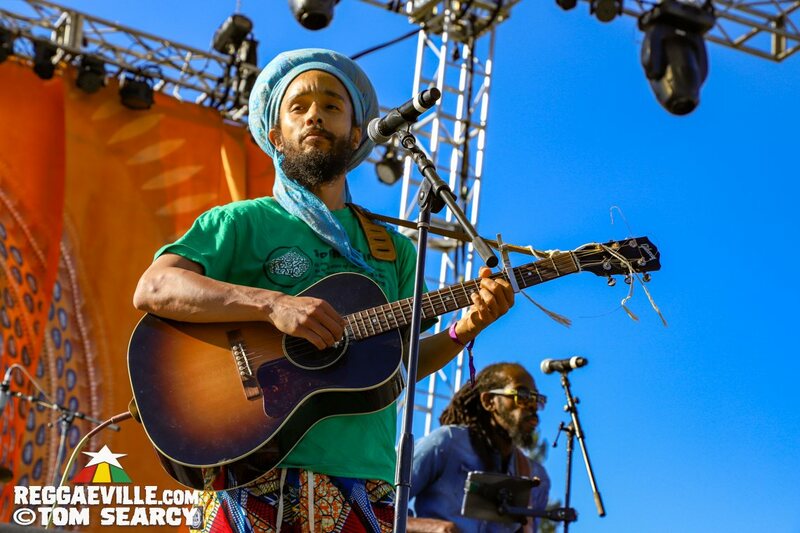 Spiritual made his SNWMF 25 and US debut performing two sets, one on Saturday and one on Sunday, his baritone voice and commanding roots reggae presence on stage were a perfect fit to the deep roots aspect of this year’s lineup. Randy Valentine also made his SNWMF debut with his full band, performing barefoot, the humble songwriter and producer from Clarendon and London sung melodies from other worlds that reached the rather sizable crowd skanking in the 2pm Mendocino sun at 90 degrees F 32 degrees C. Noting the long journey he took to get to the festival and in his career overall, Randy hailed up fellow UK-based artist Natty who was watching in the audience. Singing along on his varied set list from reality tunes, to lovers rock, fans were treated to an acoustic version of Carry On to close the set as they shouted for more! The SNWMF production manager David Claytor hesitated to take him off stage when his time was up, he so mesmerized the massive. The artist told the press conference after his set about the experience with the Havana Meets Kingston project he’s involved in, meeting the musicians from Cuba, performing with Sly and Robbie and plans to perform the music on BBC Radio in the UK. 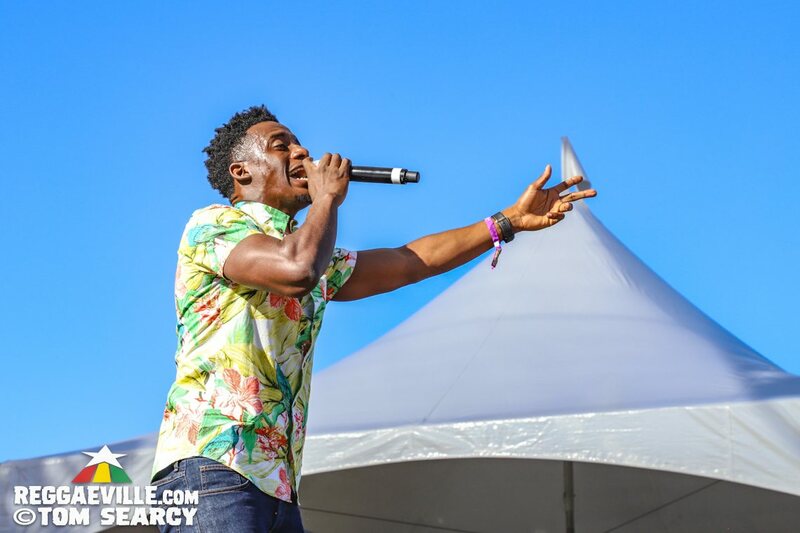 Romain Virgo performed a crucial set on SNWMF 25, his voice brought perhaps the most air horn responses of all from the audience as he ran tune after massive tune with his world class band, never remaining long in one place on stage, bringing the vibes! The Village stage featured David Halliard & Rocksteady 7 who moved through the various eras of pre-reggae like a college class, from blue beat to rocksteady with jazz influence on actual vibes/xylophone. The band includes percussion by legendary Jamaican Larry McDonald who has a 50-year history that has included performing with the likes of Gil Scott Heron and Taj Mahal. Between sets throughout the weekend, Village stage production manager Mark Mason announced World Cup results. The Mexico victory over South Korea was announced while bands from both cultures performed sets on the same stage. The one and only Cocoa Tea made a rare appearance on the West coast, and was another true crowd pleaser this year. 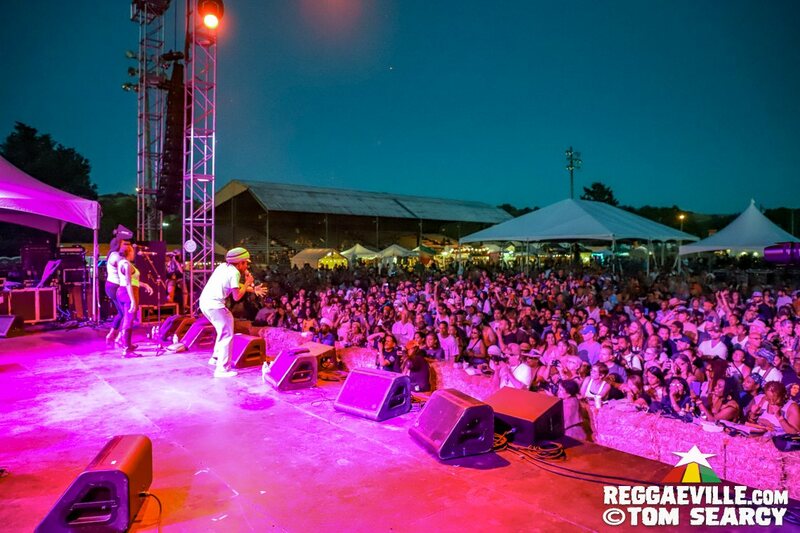 The beginning of the set focused on newer material, songs like Medical Marijuana on the Top Shelf Riddim landed perfectly in the area now in the “Green Rush” days of legalized recreational ganja. But once he began going back in time, to tunes like Riker’s Island and Truly he got the party got going perhaps like no other could with his combination of showmanship and deep cuts sung in his unique vocal tone. Beres Hammond returned to the festival this year to headline, after first appearing two years ago. With sweet friendliness he engaged the crowd, many of whom sung word for word and shouted requests to him. Saturday’s late night dancehall featured Rory StoneLove/Black Dub whose vast collection of dub plates and lengthy history of sets at SNWMF over the years, meant that he delivered the deepest roots at the beginning of the set moving up to modern-day roots, a respectful intention to reflect original dancehall and sound system culture that the festival also represents. Sunday featured sets by artists who performed two times on SWNMF 25 including Kingston Rudieska from South Korea whose ska gymnastics with a full horn section and lyrics sung in both Korean and English were uplifting and polished. The lead singer jumped the photo pit and came out into the crowd to create a festive finale. Kelissa performed at SNWMF during the Nattali Rize set in a cameo for one song and explained to Reggaeville that she is doing two songs on acoustic guitar to open up on club dates and performing one song with the band in that setting. This year the festival featured the inside dancehall early evening with Downbeat the Ruler who gave a college level course on vintage tunes, one after another that he lectured on between, pacing around the stage, referring to his massive archive of 45s on CDs. 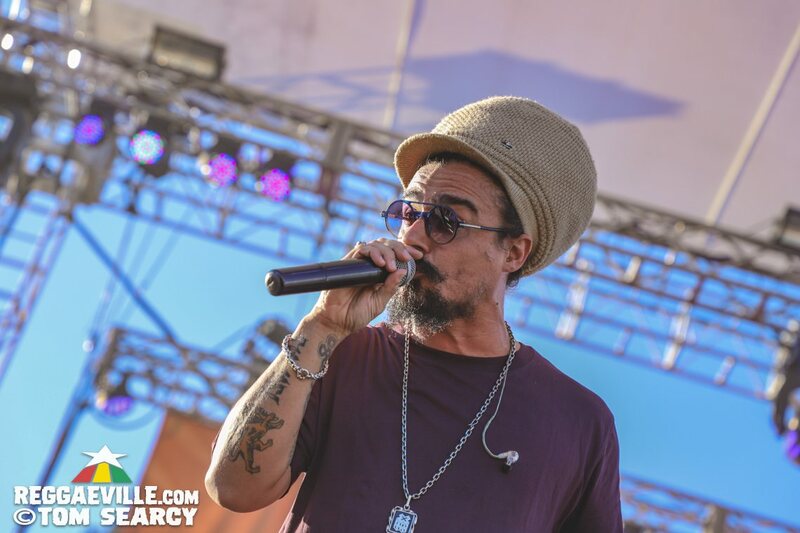 Dread Mar I from Argentina has one of reggae music’s largest online following, he certainly had drawn a set of fans there that knew his lyrics as he serenaded the massive in his lover’s rock style with a soaring vocal tone. Like all good things, SNWMF 25 had to come to an end, Steel Pulse were an appropriate finale to the weekend, providing tune after tune of foundational music in keeping with the celebratory, conscious, global vibe of the proceedings. The festival organizers announced 2019 dates June 21-23, despite rumors that this would be the last SNWMF.